Tamara Gachechiladze marries Borislav Milanov – and reveals they are expecting! 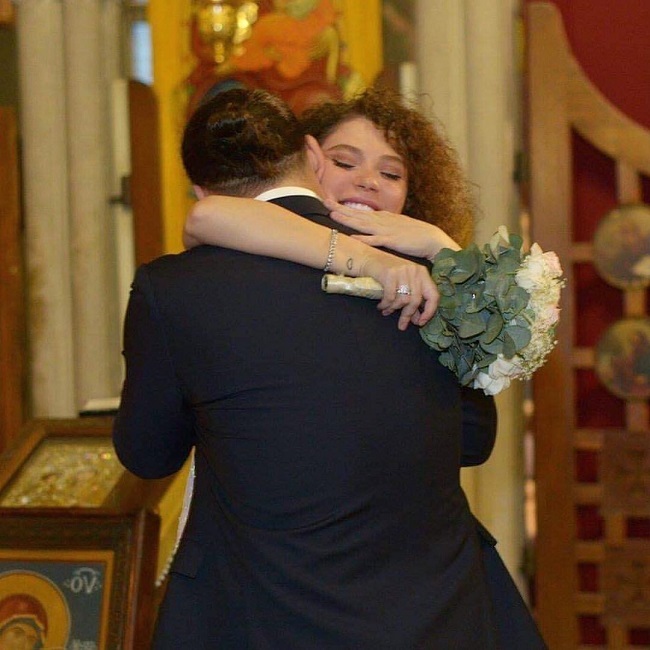 More than a month ago, we reported on Tamara Gachechiladze (Georgia 2017) getting a huge surprise her boyfriend, succesful composer Borislav Milanov, asked her to marry him! And all of that went down in the city of love: Paris. The wedding ceremony was held a few days ago at Mama Daviti Church, in Tbilisi, all celebrated with close friends and family. But the happiness doesn’t even stop there, there is more on the way! In an interview with OK! Magazine Georgia yesterday, she revealed that she is pregnant! After going back to Austria and giving birth, I’ll definitely return to my music career, because I can’t live without work. Borislav wishes the same. We worked together last year and recorded his songs, and we’re looking forward to you hearing all of them. We will continue our cooperation in the future. Pretty importantly, he likes me as a singer and tries to help me in this way. Elaborating on the music binding the two lovers together she also can’t stop praising her man! I think Borislav is one of the best composers who I’ve ever met and he has been rewarded with the talents of a producer, so hopefully we will be able to do everything together. But the main thing is that we love each other and for the first time in life, I am the happiest woman, which is all credited to him! He’s really a dream man! Tamara Gachechiladze represented her native Georgia during the Eurovision Song Contest 2017 with ‘Keep the Faith’, after having won her national final back home. And funny enough, that’s also where the story starts! Borislav and Tamara met at the national final and the romance started to flame up soon after! We wish Tamara and Borislav lots of joy and happiness in the future! Ukrainian entry for Eurovision 2019 to be selected via Vidbir, on February 23rd! Marco Mengoni reveals two new singles and announces tour!